A new report from the Pentagon warns that the US would be totally clueless if Iran were to obtain a nuclear weapon. The report reveals that America's intelligence services are unable to detect when a nation has become nuclear armed. Bret Stephens, a foreign affairs columnist for the Wall Street Journal, spoke about the report he recently analyzed while appearing on Fox News. There he noted the report exposes Vice President Joe Biden's assurances, made in presidential debates with candidate Paul Ryan in 2012, as a lie. Proof of the American lack of early-warning capabilities come from Pakistan and India, two nations that achieved nuclear weapons with the US being none the wiser, notes Stephens. The columnist declared that the world is entering a new phase of nuclear proliferation, in which countries from Turkey to Japan and South Korea are all expressing desires to have the option of a nuclear weapon. The number of nuclear powers are set to jump from "8 or 9 to 20 or 30," warns Stephens. "I think there's a lot of doubt among our allies from Israel to Japan to South Korea about the strength of American security guarantees," assessed Stephens, when asked about the reason a country like Japan, which has a security treaty with the US, would want the possibility of building a nuclear weapon. Tensions in Asia, particularly between Japan and China, have been reaching a boiling point over the contested Senkaku Islands lately. 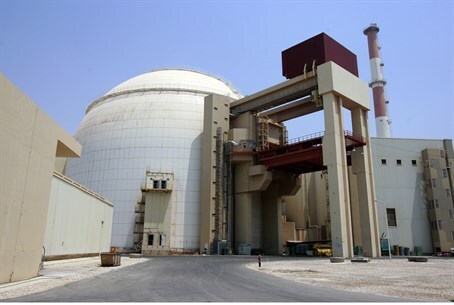 Regarding Iran, Stephens added that the US is still prevented from inspecting Parchin, the military base suspecting of being used to test nuclear bomb triggering devices. Nevertheless, the US has lifted sanctions on Iran during the 6 month interim deal, even as Iran’s Atomic Energy Organization Chief Ali Akbar Salehi said Wednesday that the deal does not limit Iran's nuclear research and development. Iranian lawmaker, cleric, and Majilis (council) member Mohammed Nabavian said in January that "having a nuclear bomb is necessary to put down Israel." The recent report confirms the warnings from a conference of security experts in the US last November, which announced the US is unprepared for an Iranian Electromagnetic Pulse (EMP) attack induced by a nuclear device. Such an attack would wreak havoc nationwide.